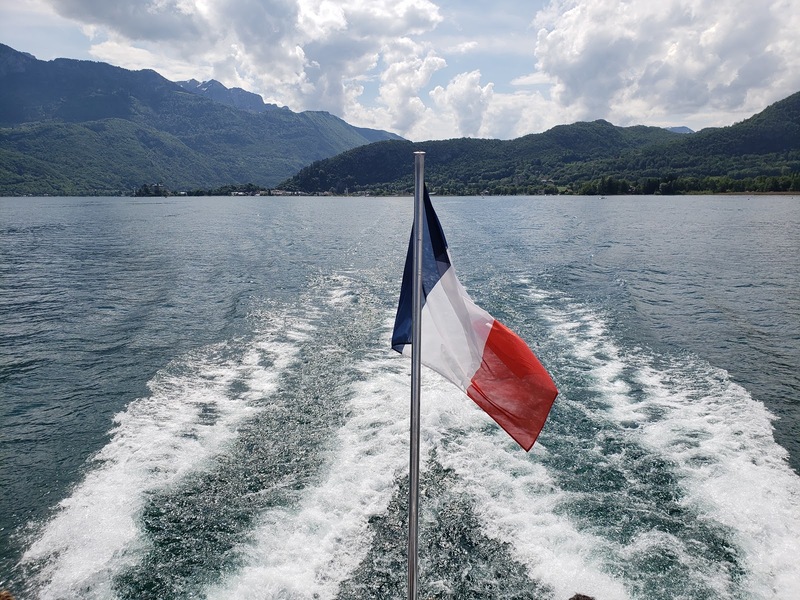 The mountains of Lake Annecy in France. Georgia Southern University will celebrate the history, culture and contributions of the French community during its 20th annual French Week, featuring a series of lectures, performances, meals and more. The celebration will run from Nov. 2 through Nov. 8. In 1999, Jayne Abrate, executive director of the American Association of Teachers of French, announced National French Week and established it as an annual celebration scheduled during the first week in November. She proposed that students and teachers of French share information about France’s historical influence and the country’s importance in our contemporary world. University events will be hosted by the Department of History, the Department of Foreign Languages, the Department of Music, Dining Commons, the Zeta Rho chapter of the National French Honor Society, Pi Delta Phi and the Georgia Southern French Club. Events will take place on the Statesboro and Armstrong campuses and are open to the public. Monday, Nov. 5, 4 p.m. The French were victorious in the First World War, but victory came at a high cost. Almost 1.5 million French servicemen lost their lives on the battlefield, leaving behind 700,000 widows and nearly 1 million orphans. This talk will address the First World War’s impact on French society while stressing the conflict’s consequences for French postwar development. Monday, Nov. 5, 6 p.m. In this 2017 film, Armand and Leila are in love, but when their life together is threatened by the radicalization of Leila’s brother, the young man decides to do everything he can to save their relationship, even if that means dressing up like a woman to see Leila when her brother is present. Participants will practice their investigative and linguistic skills to solve a murder with clues exclusively in French. Some knowledge of French is recommended, although not required. This event is organized by the French Club. The entrance fee is $2 at the door or $1 if participants RSVP in advance to frenchclubgeorgiasouthern@gmail.com. Proceeds benefit the Georgia Southern French Club, a registered student organization. Wednesday, Nov. 7, 4 p.m. The Zeta Rho Chapter of Pi Delta Phi, the chapter of the National French Honor Society at Georgia Southern will initiate five new members on Nov. 7. The Induction Ceremony will be conducted by the chapter moderator and the Pi Delta Phi Olga South Vice President Olga Amarie, Ph.D. Each inductee will receive a certificate, pin and graduation cords. Pi Delta Phi seeks to recognize outstanding students in French, encourage the love of learning a foreign language and publicize the academic endeavors of students. Thursday, Nov. 8, 4 p.m.
William Brad Holley, Ph.D., from the Department of Foreign Languages, will discuss three literary works from 19th-century France that prominently feature a vampire or vampire-like creature. Though they are all unified by a few underlying traits, they likewise differ significantly in how these fictional characters manifest vampire traits as well as the social or political implications which attend the nomenclature of vampire. Thursday, Nov. 8, 5 p.m.
Life in Yopougon, a poor neighborhood of Abidjan on the Ivory Coast, is not always easy, especially for young unmarried women who dream that their lives will resemble an American soap opera. Luckily, friendship and humor are on Aya’s side through the many twists and turns. The film was a nominated for “Best Animated Film” at the Cesar Awards in France. Thursday, Nov. 8, 5-7 p.m. The French Conversation Table will take place at Dining Commons in Statesboro. The Department of Foreign Languages’ William Brad Holley, Ph.D., will lead the event, where attendees will practice their language skills in a fun and friendly environment. All levels of learners, from total beginners to native speakers, including the general public, are invited to attend. Dining Commons will serve French food specialties on Nov. 7 and Nov. 8 in the evening. The crêpe station will be open on both days and French dishes, such as chicken fricassee and ratatouille, will be available. For information on the complete list of National French Week events, click here.